Optimize the sealing and safety of your conveyor belts between loading and unloading points with our LIFTUBE® system. This solution helps you comply with environmental and safety standards while reducing your operating, maintenance and cleaning costs. 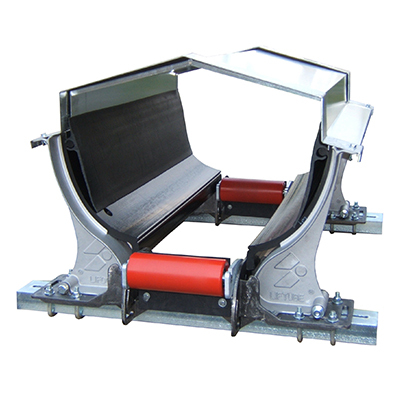 Our patented LIFTUBE® material channelling system adapts to new or existing conveyor with a width of 18" to 54". 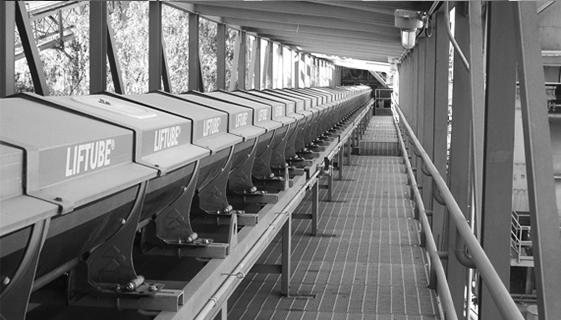 In some cases, conveyor belts are prone to product overflows and dust emissions. With the LIFTUBE® covered system, operating losses, dust emissions and maintenance will be greatly reduced. Our LIFTUBE® covered system, suitable for transporting high-temperature products, is equipped with self-extinguishing edges and accessories that can resist temperatures up to 300°C. ATEX-certified with a 3-year warranty, the LIFTUBE® also combines protection of pinch points and reduced risk during maintenance.